Robert Collyer Hosmer and grandson Cameron Hosmer look out from the back deck in the summer of 1955 on the property that had been in the family for nearly 30 years. Less than 20 years later, in 1973, Cameron Hosmer and his wife Maren Hosmer planted 5 acres of vines in that exact plot of land. Now Cameron and his son Timothy Hosmer tend to those same vines that rest in the middle of the 70 acres of grapes that now thrive on the Hosmer farm. Cameron Hosmer's father, a Syracuse textile manufacturer, envisioned growing grapes on the gentle slopes of Cayuga Lake at the family's summer home. His vision took shape when Cameron and Maren started planting grapevines in the late 1970's. Although Cameron's father didn't get to see the full fruition of this dream, the farm has grown to nearly 70 acres of premium wine grapes. After fifteen years of selling their grapes to others, Cameron and Maren had a vision of making and selling their own wine and founded Hosmer Winery in 1985 on the principle that great wine starts in the vineyard. With a degree in Pomology from Cornell University and a semester at California State University, Fresno (renowned for their world-class programs in viticulture and enology), Cameron had both the background and experience to get started in the budding industry. They opened up their first tasting room in the garage of the Estate home in the summer of 1986. In 1990, with increased production and growing recognition, the decision was made to renovate a barn across the street and inaugurate a new tasting and retail facility. Our friendly atmosphere and knowledgeable staff introduce thousands of visitors each year to a memorable tasting experience. 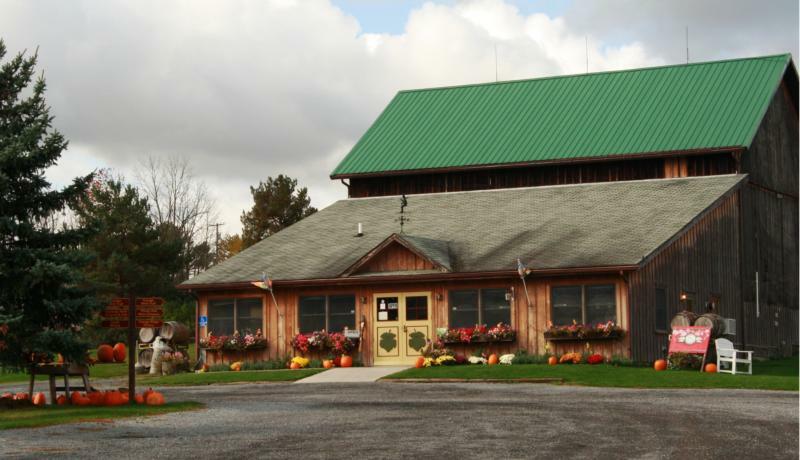 The tasting and retail facility are located on State Route 89, on the western shore of Cayuga Lake, just 20 miles north of Ithaca. Hosmer wines include a wide variety of styles made from traditional Vinifera, as well as French-American hybrid varieties. Today, Hosmer produces 20 thousand gallons of wine annually. At this boutique level, we are able to assure the excellence of the entire process, from the basic fruit to the finished wine. He works closely with Winemaker, Julia Hoyle to produce consistent quality wines in the European tradition. Hosmer wines have been recognized consistently over the years at both regional and international competitions, as well as by highly respected publications including the Wine Spectator, Wine Enthusiast, Wine & Spirits, USA Today, The New York Times and the Wall Street Journal. Wine Enthusiast 88"Intense herb and bramble notes lend contrast to pristine black plum and currant in this neatly balanced wine. It's full bodied, ripe and succulent, but brisk acidity and fine-grained tannins lend an upright frame of structure. The finish is long and persistent." "A fun alternative to traditional red wine, Sangria bursts with lively citrus flavors. Tart lime, lemon and orange combine with a pleasantly sweet blended red wine for a convenient bottled version of this perennial favorite. Sangria also makes an excellent addition to beef stews and chili."